HAPPY DONABE LIFE - Mrs. Donabe's Rustic Japanese Kitchen: Smoked Ocean Trout Chirashi Sushi - New Recipe Video on YouTube! Smoked Ocean Trout Chirashi Sushi - New Recipe Video on YouTube! I've been having such a busy summer this year. But, I'm happy to announce that my new recipe video is released on Naoko's Happy Donabe Life YouTube channel! It's Smoked Ocean Trout Chirashi Sushi, made in double-lid donabe rice cooker, Kamado-san! The recipe link is here. The recipe can be made with smoked salmon or other ingredients of your choice for topping. 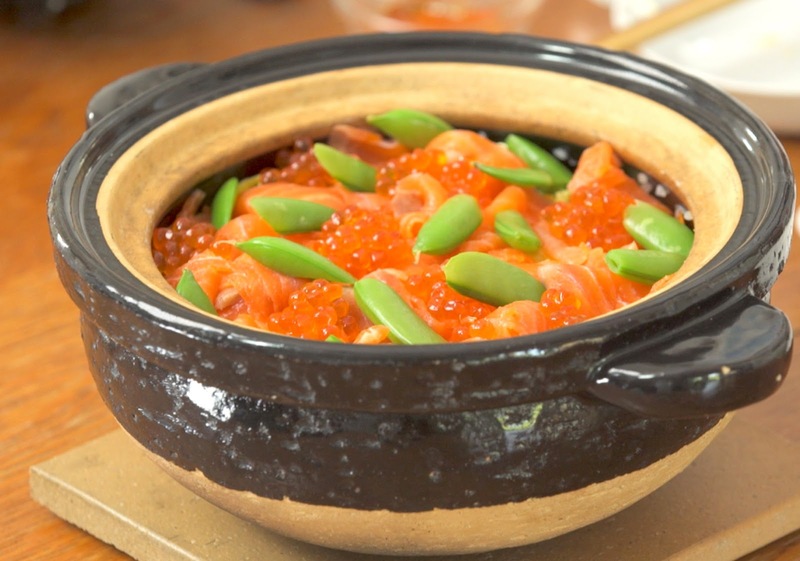 With Kamado-san donabe, you can make the really tasty sushi rice in such an easy preparation. This recipe is also great for a party. Wonderful one-pot rice dish!